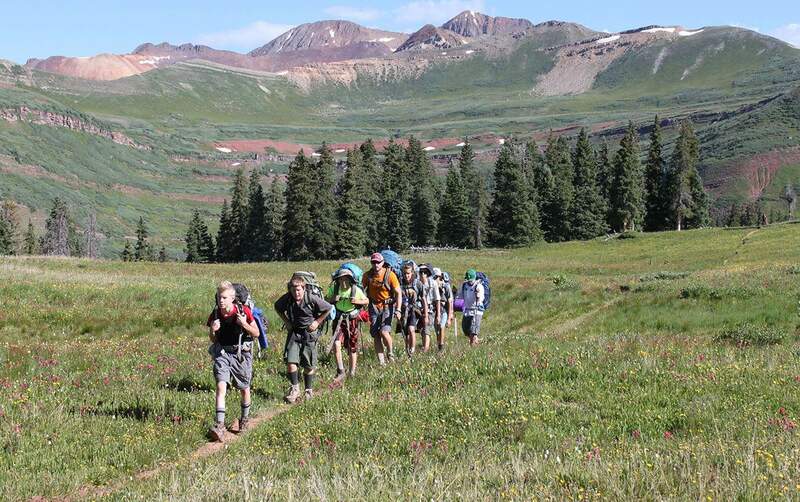 Scouts and adults from Troop 501 hike the Colorado Trail between Molas and Coal Bank passes in 2016. The troop was founded in 1938 and expects to celebrate its 80th anniversary in the spring. It has about 20 active scouts. 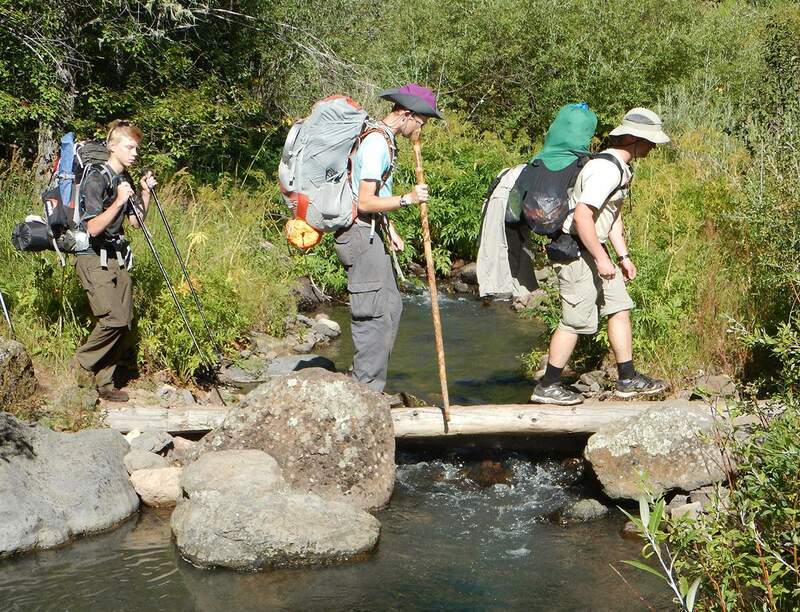 Troop 501 alumnus and Eagle Scouts Trevor Snodgrass, Aaron Bumgarner, and Philip Wiley, from left to right, cross a creek at the Philmont Scout Ranch in Cimarron, New Mexico, in 2016. 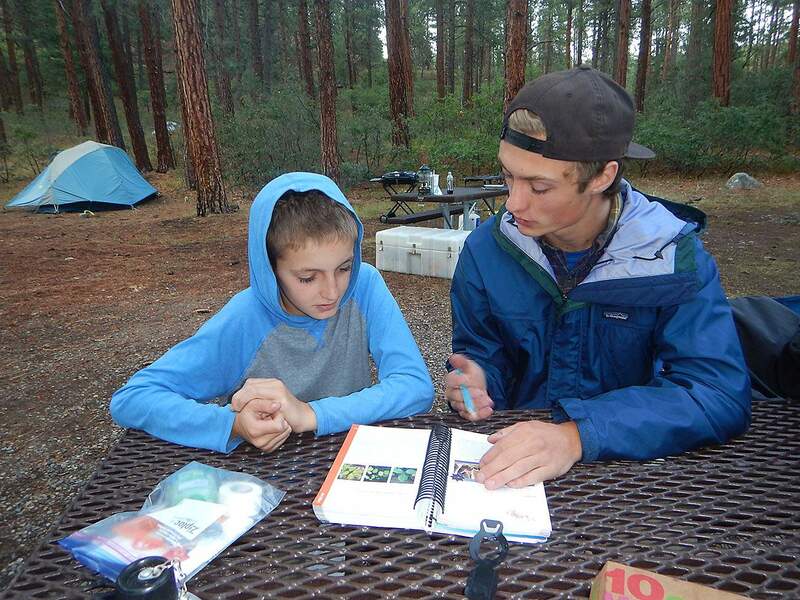 Eagle Scout Lance Townsend, right, works with Dillon Harris identifying poisonous plants at Chris Park Campground in July. Identifying hazards in the outdoors is a big part of a scout’s education. 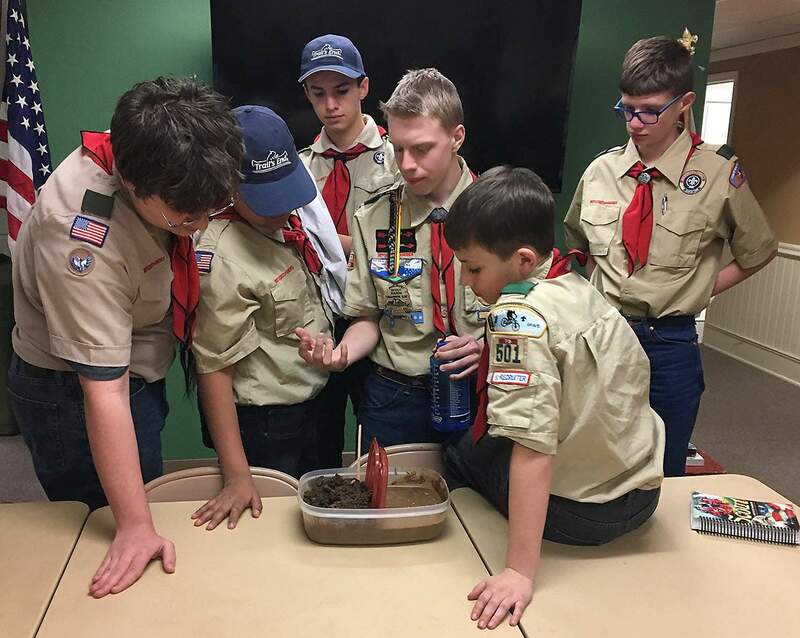 Scouts Joel Thompson, Jamie Behrends, Zeke Ezell, Trevor Snodgrass, Phillip Kolter and Ryan Behrends, from left, learn about erosion while working to earn their Environmental Science Merit Badge in 2017. 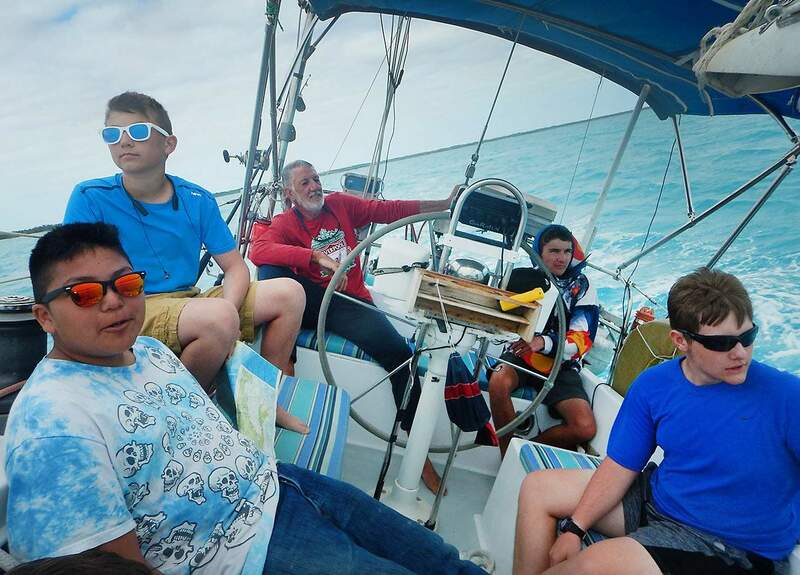 Troop 501 scouts, from left to right, Davonte James, Phillip Kolter, Captain Paul Smedley, Alex Kolter, and Henry Williams sail in the Sea of Abaco in the Bahamas. They went sailing through a Boy Scout camp based in the Florida Keys. 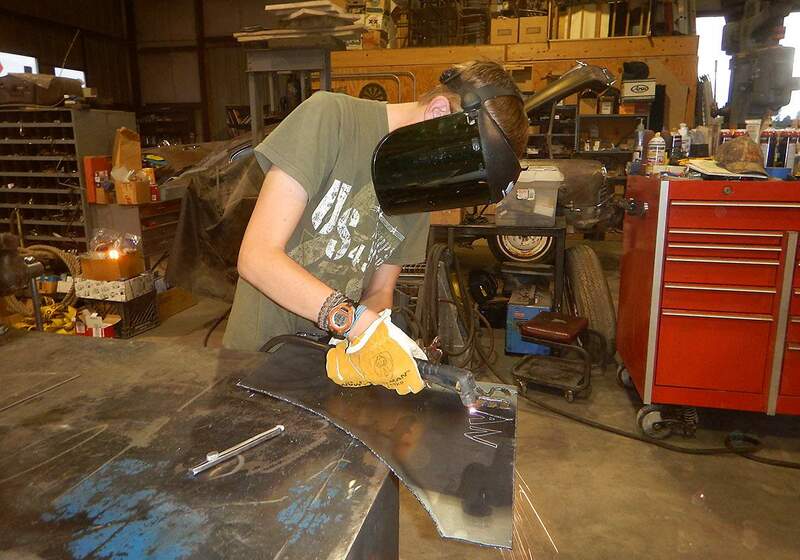 Eagle Scout candidate Sean Bumgarner of Troop 501 uses a plasma cutter to cut his name out of plate steel as he works to earn a Welding Merit Badge in 2016. 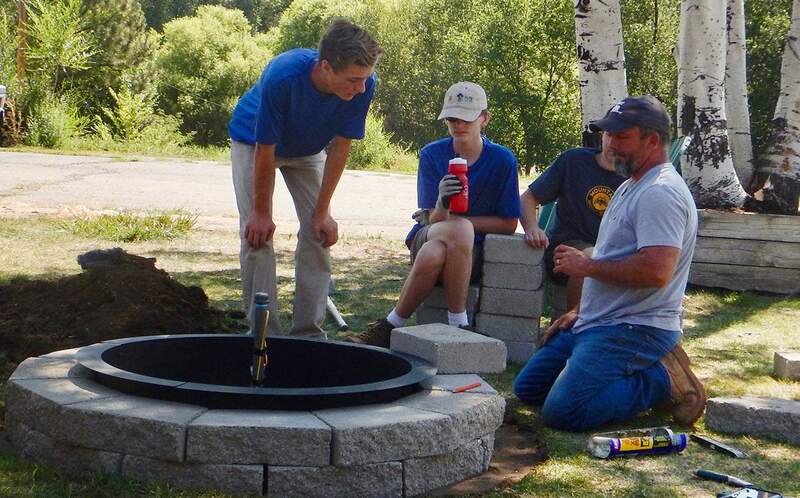 Eagle Scout Lance Townsend, left, works with scouts Caleb Bates and Phillip Kolter and volunteer Robert Brown, a local stone mason, to build a gas fire pit at the Animas Alano Club on Aug. 11. The Alano Club hosts groups working to recover from substance use. Lance built the fire pit and put in the landscaping for his Eagle Scout project. He was awarded his Eagle rank on Dec. 5. Nationally, it is a turbulent time for the Boy Scouts of America, but scouts are staying committed to Durango’s Troop 501, now in its 80th year. This month, The Wall Street Journal broke the news that Boy Scouts of America was considering bankruptcy because of the lawsuits it could face over sexual-abuse allegations. The organization is also expected to lose about 20 percent of its members because the Church of Jesus Christ of Latter-day Saints plans to leave the Boy Scouts at the end of 2019. The Mormon Church didn’t give a reason for its departure, but several years before announcing it would cut ties with the Boy Scouts, the church publicly disagreed with Boy Scouts’ decision to welcome openly gay troop leaders, The Washington Post reported. Now in its 108th year, The Boy Scouts of America have made other high-profile changes, including starting troops for girls. Regardless of national decisions, for Troop 105, founded by the First Presbyterian Church, the emphasis is on scouting fundamentals. “My focus is on the scouts and to make sure that they grow up with a healthy sense of the points of Scout law – being honest, being loyal, being respectful, being ethical,” Scoutmaster Rob Kolter said. For Eagle Scout Lance Townsend, a senior at Durango High School, some of the most valuable lessons he learned in scouting are those he can apply to life, he said. Some hikers just grab their best walking shoes and a water bottle before they head out. But Townsend said he takes along the 10 essentials taught in Boy Scouts, such as a first aid kit and rain gear. “I think about making sure everything is flawless,” he said. Eagle Scout Sean Holley said he uses the cooking skills he learned in Scouts often and makes his family Dutch oven meals. He has also enjoyed the camaraderie. “It’s been a super-great group to hang out with,” said Holley, an Animas High School student. The troop accepts boys between the 11 and 17 years old – providing an opportunity for older scouts to mentor and lead, Kolter said. The group takes camping trips almost monthly, far more than scouts in other communities, said former Scoutmaster Phil Wiley. “We are blessed with an environment that is conducive to scouting,” he said. Troop 501 scouts have also made community improvements around town. They have helped build the sky steps to Fort Lewis College, built a new sidewalk to St. Columba Preschool and put in new steps for students walking to Miller Middle School, among many community service projects. Vickie McLaughlin, an adult leader with the troop for 10 years, observed how scouting changed the direction of her son’s lives. Her sons, Sean and Matthew McLaughlin, both planned on attending college but instead chose to go into trades after hearing Mike Rowe, the host of the Discovery Channel show “Dirty Jobs,” speak at a national Scout event. “It’s really actually affected their lives,” she said. One of her sons went into the oil and gas industry and the other became a welder, she said. Scouting also gave them the opportunity to go on a 77-mile canoe expedition and sailing in the Florida Keys, she said. “It allowed them to be taken out of their everyday situations and introduced to new activities,” she said.